SAC CASHIN is a stout made, performance driven, three dimentional bull with excellent muscle shape, structure and scrotal development. 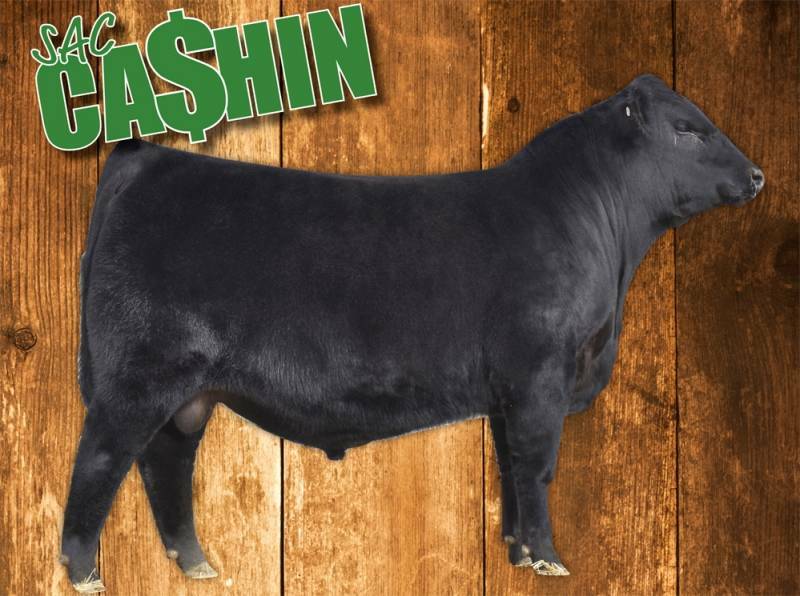 Make him your "GO TO HIGH $ VALUE" sire! 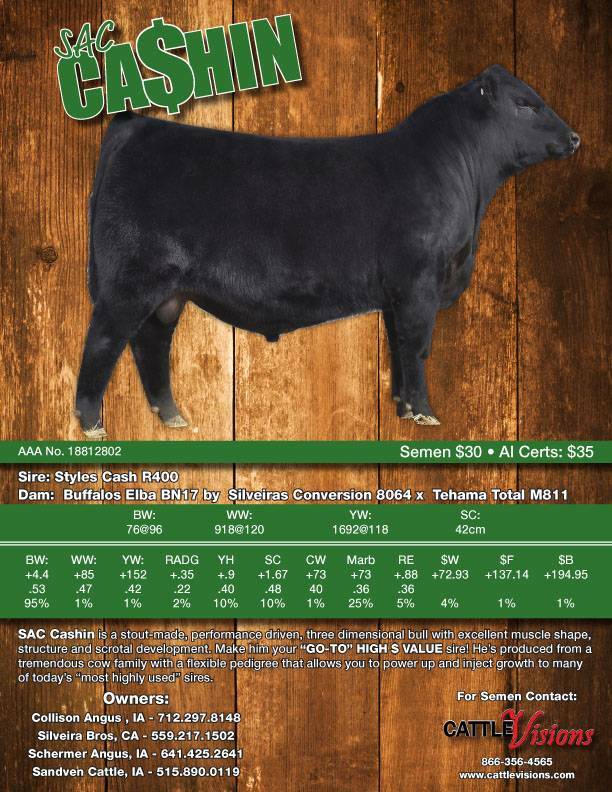 He's produced from a tremedous cow family with a flexible pedigree that allows you to power up and inject growth to many to today's most highly used sires.